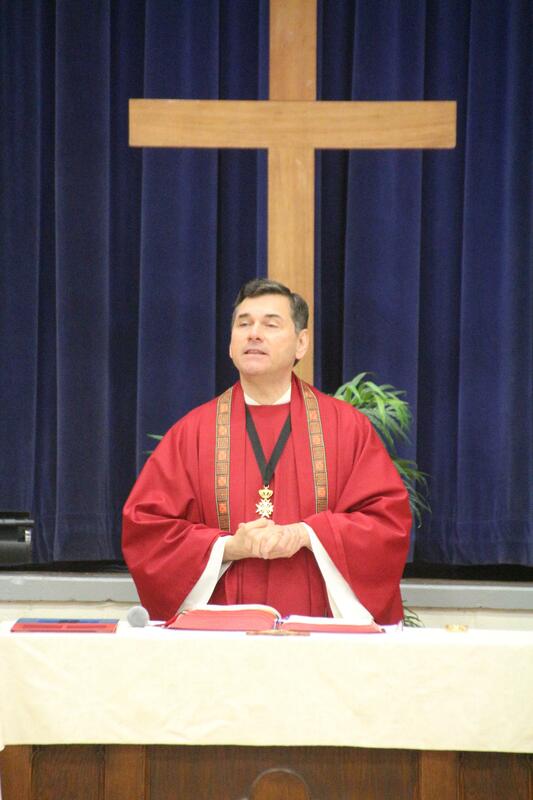 Our Chaplain, Father Sal DiStefano, offers mass at 7:40am each morning in the chapel. Anyone in the Oratory community is welcome to attend. Students, Faculty and Staff come together each month to celebrate in Bain Hall Gym. Oratory Prep also celebrates two special community masses together during the year, one for fathers and sons (and often grandfathers as well! 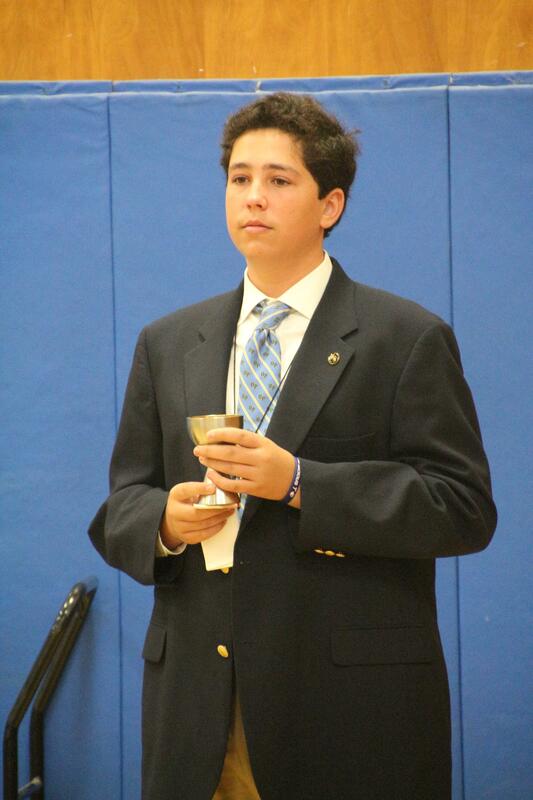 ), and another for all of our Oratory Prep families. Please mark down the dates and plan to join us! 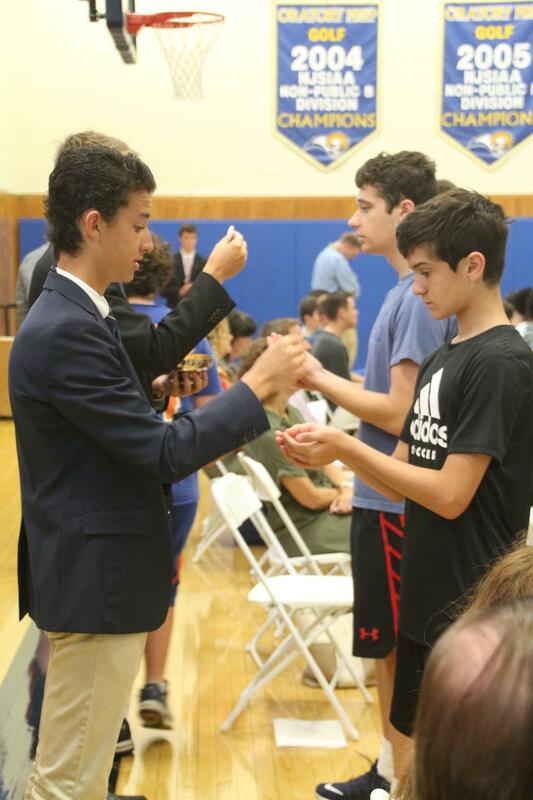 Several times a year, the Oratory Prep community worships together in a prayer service. A prayer service is different from a mass in that it does not celebrate the Eucharist and, therefore, does not follow the traditional outline of a mass. Prayer services are peer-led by our Campus Ministry and Worship Ministry Teams. 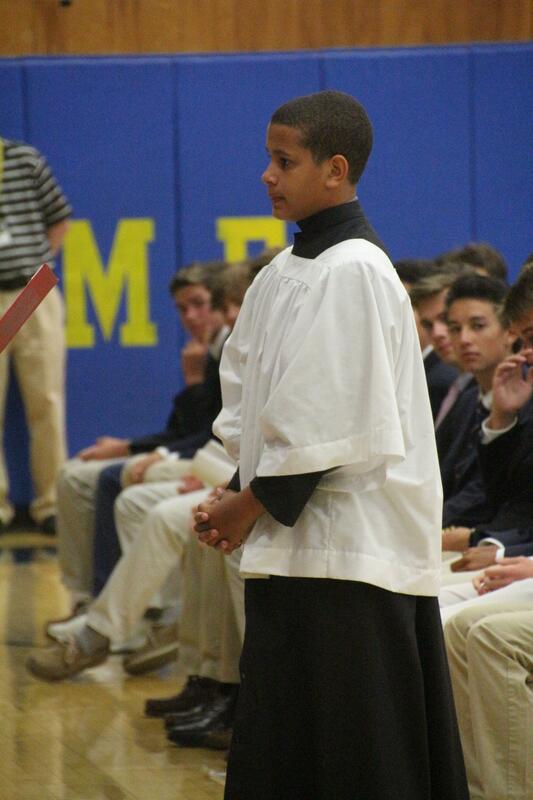 Oratory Prep traditionally has prayer services that celebrate Thanksgiving, Christmas and Lent/Easter. 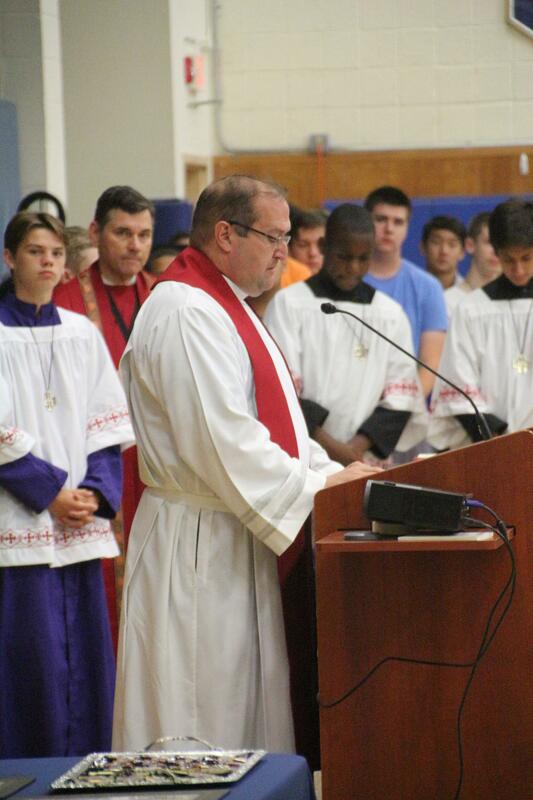 Oratory also celebrates the last school day for all Seniors with a Moving On/Moving Up Prayer Service. 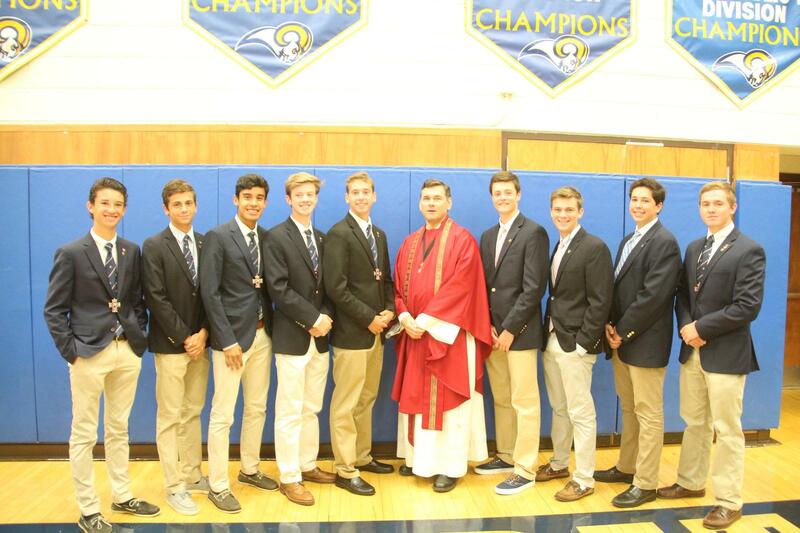 On the last day that our school community will be together for the academic year, we bless and say goodbye to our Seniors as they prepare to “move on” and then induct our Junior class as they officially “move up” as leaders of the school.